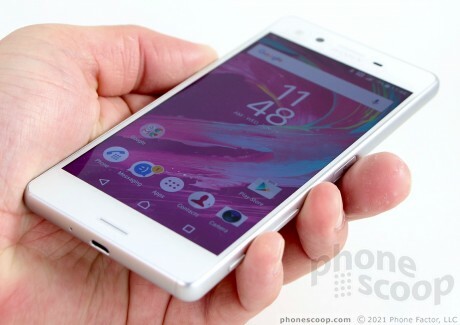 The Xperia X is an unlocked Android smartphone that Sony is selling directly to consumers. 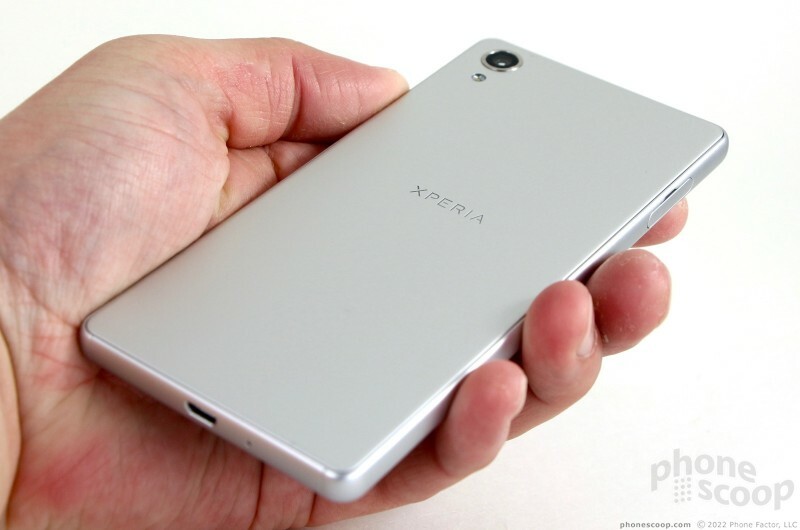 The phone departs from Sony's Xperia Z series in ways that are both good and bad. This compact handset works with AT&T and T-Mobile, delivers good battery life, and has an excellent camera. It's a shame that so many features have been stripped out. 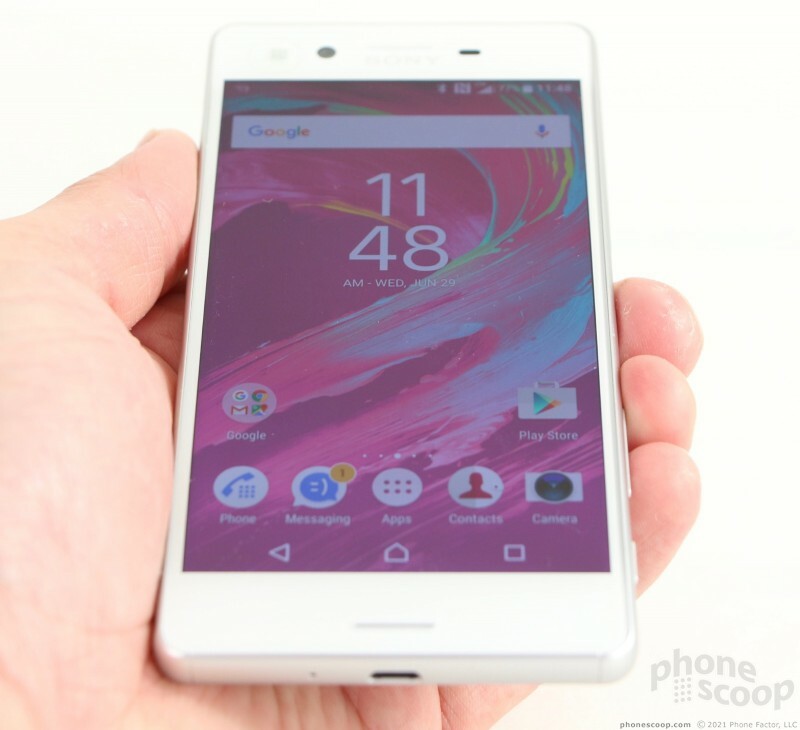 Here is Phonescoop's full review of the Xperia X from Sony. 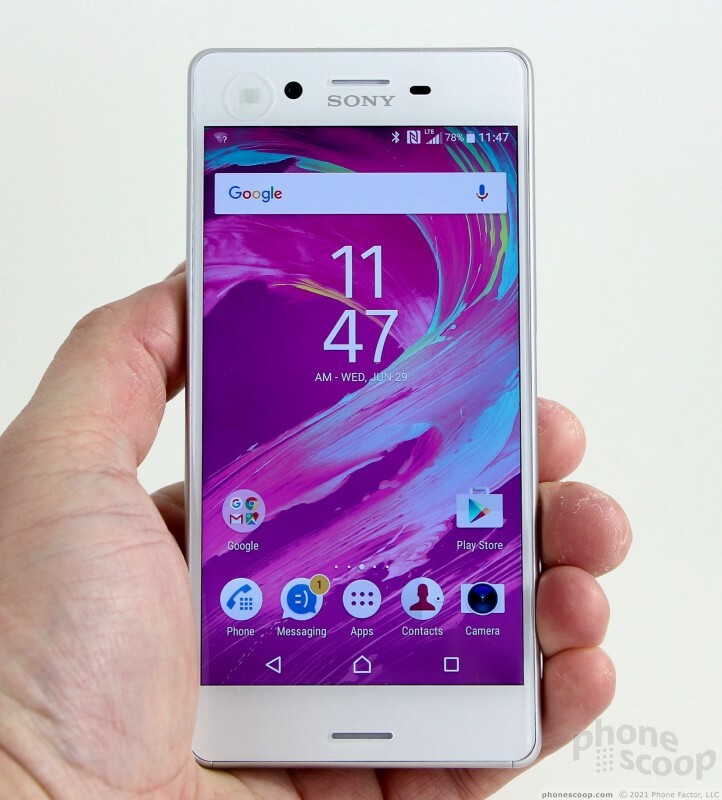 The Xperia X is a mid-range handset that Sony is selling directly to consumers through its web site. 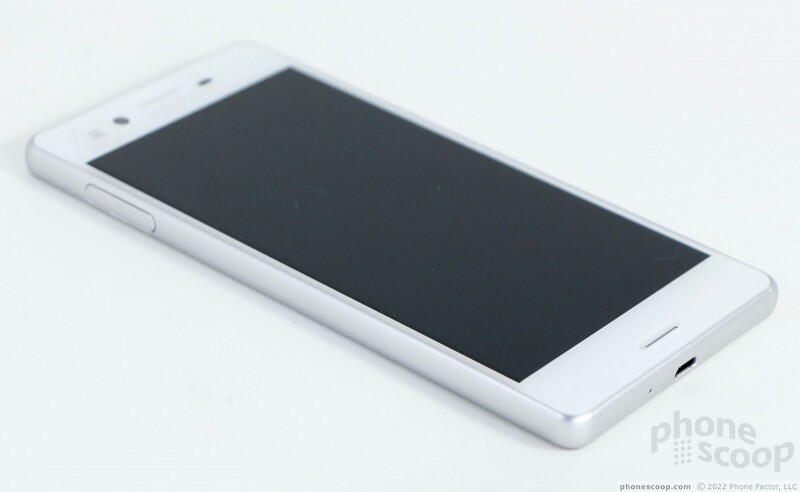 The phone supports AT&T and T-Mobile LTE, and targets the unlocked market, as opposed to carrier-branded phones. 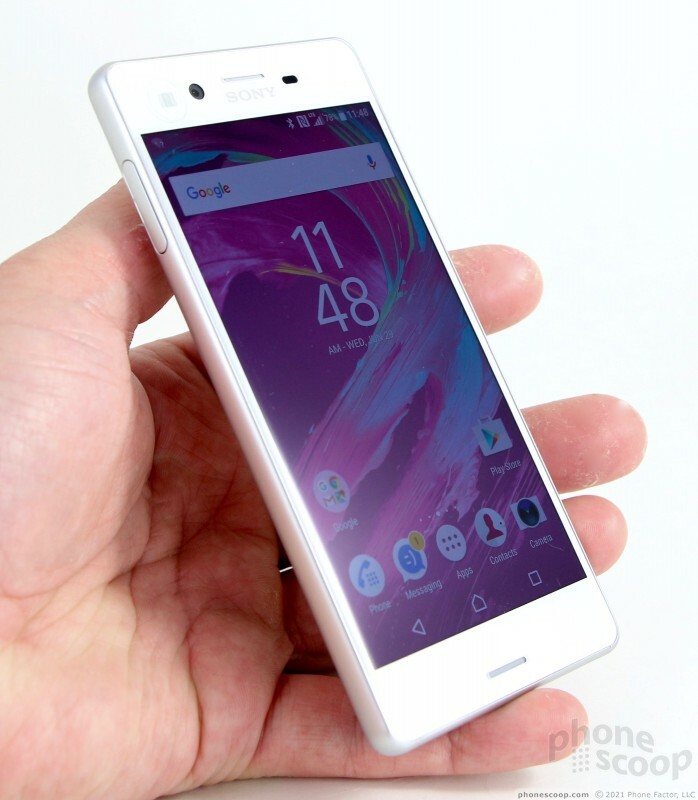 If you value independence from wireless network operators, the Xperia X is worth a look. 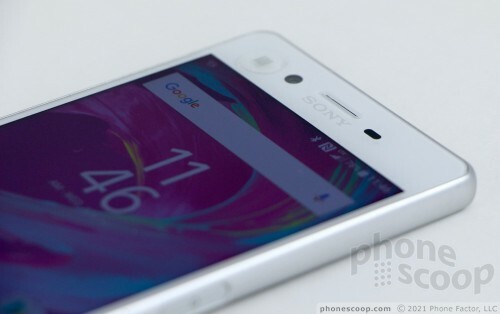 The Xperia X sees Sony taking a slightly new direction with its smartphones. 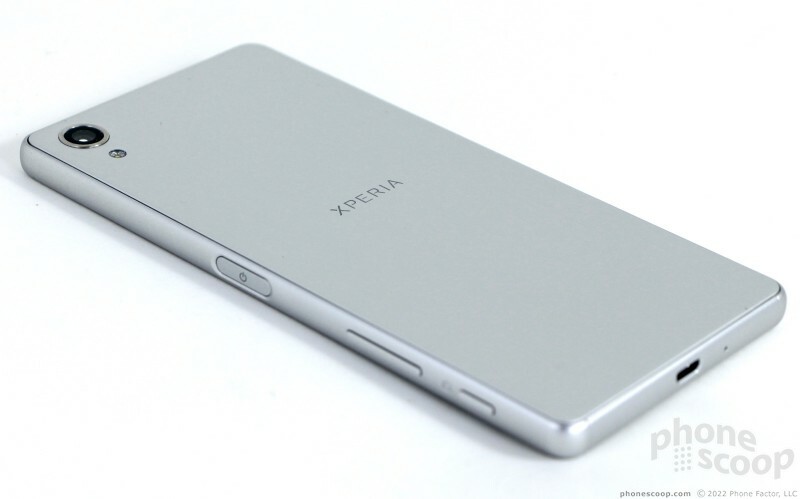 The X series seemingly supplants the Z series as Sony's main line of devices moving forward. Of the first three Xperia X handsets announced, the X sits in the middle, sandwiched between the high-end X Performance, and the low-end XA. 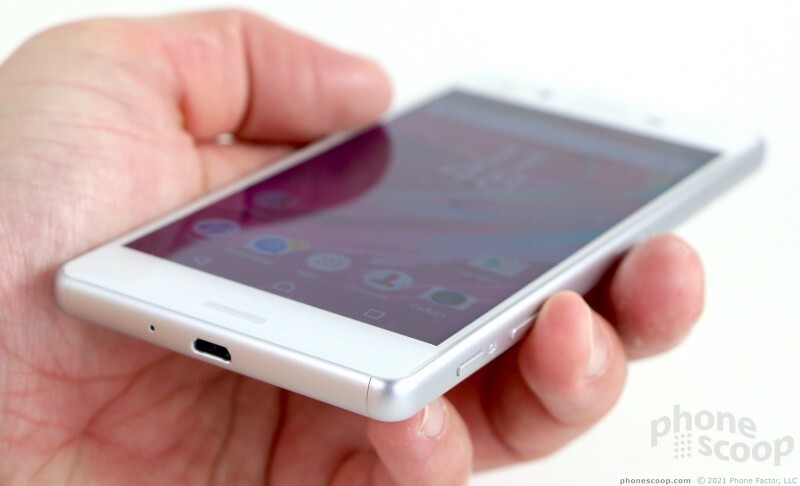 Using it, the Xperia X is plainly a mid-market phone through and through. 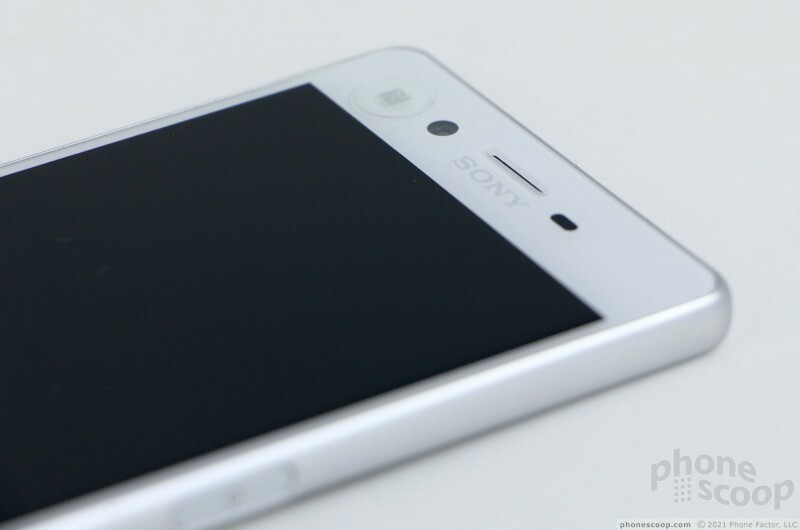 I appreciate Sony's use of "2.5D Glass" where the display meets the edges. It helps smooth out the seam a bit. 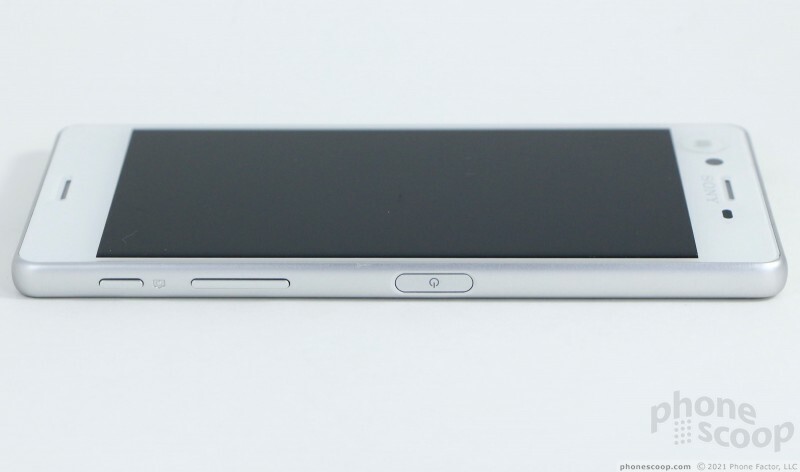 The side edges and corners have pleasing curves so the phone never digs into your skin. I miss the glass rear panel a bit, but the metal still works. 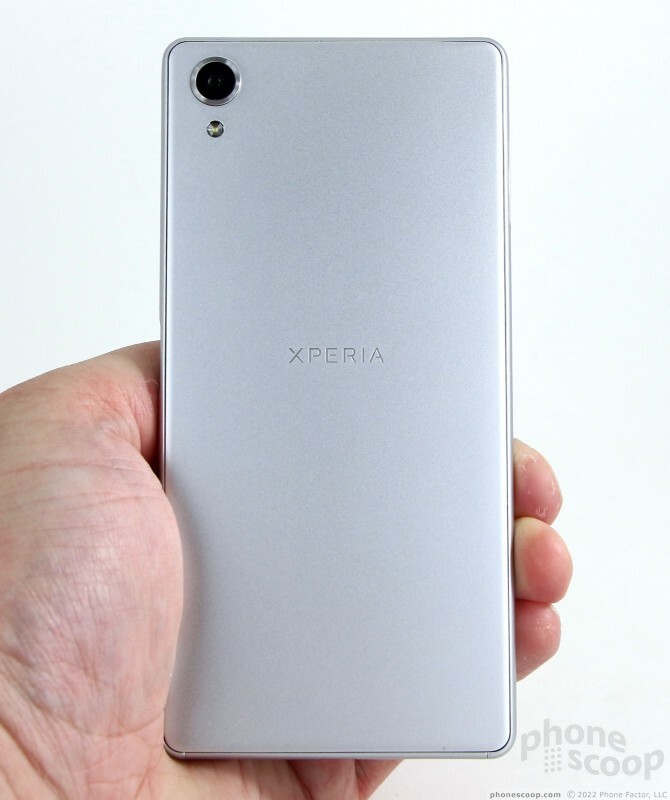 Sony still can't seem to avoid humongous bezels, but the Xperia X does make some improvement in that regard. I'm not 100% sold on the build. 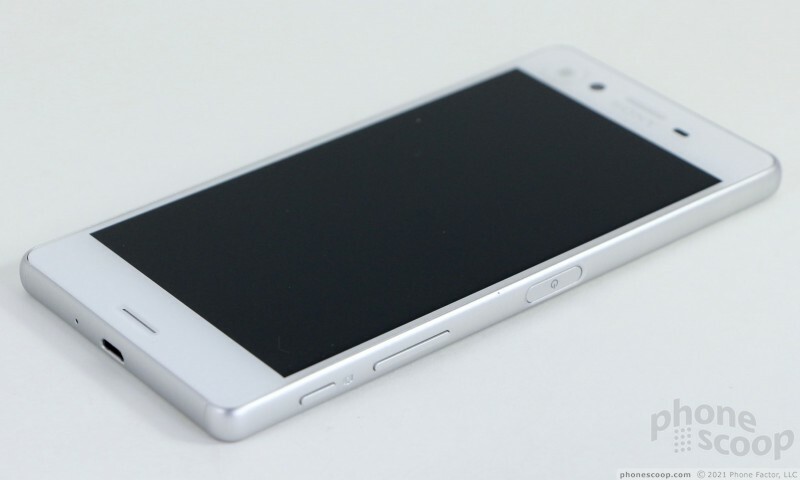 Sony generally uses top-notch materials, but this is where the Xperia X takes a step in the wrong direction. As noted, the frame is polycarbonate, not metal. The front glass panel is fitted into the frame tightly enough, but the rear metal cover is a different story. A thick and obvious seam separates the metal and plastic and, worse, it is uneven. These may be eyesores to me and me alone, but make no mistake, they're there. The frame and rear panel both have matte finishes that some people will like and others will not. I'm leaning toward the latter. The Xperia X does not feel cheap at any point, but it also doesn't feel like the high-end phones we know Sony can put together. The phone comes in gray, white, rose gold, and lime gold. The display itself stands out starkly on the white and gold models, but blends in a bit better on the gray model. 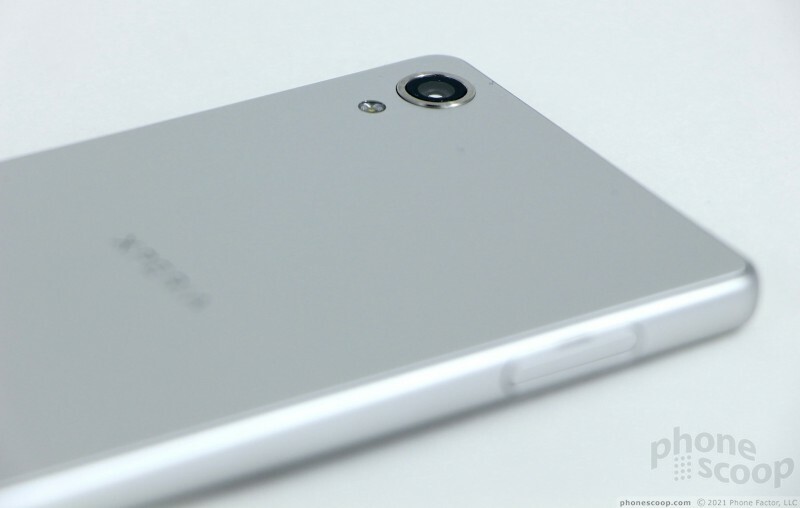 Other than the display, the front glass houses the user-facing camera and a sensor, which are easily spotted. There are two slits in the glass, one above and one below the screen, for the earpiece and microphone, respectively, and stereo speakers. 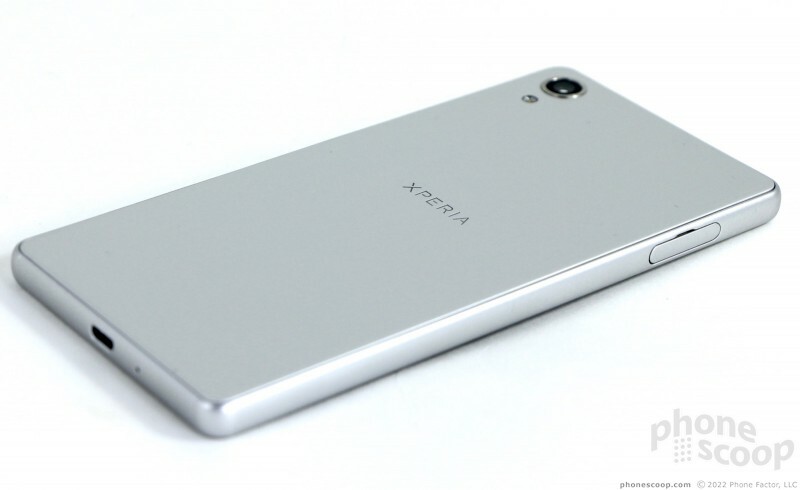 The X does not have any buttons on front, as it uses on-screen controls. 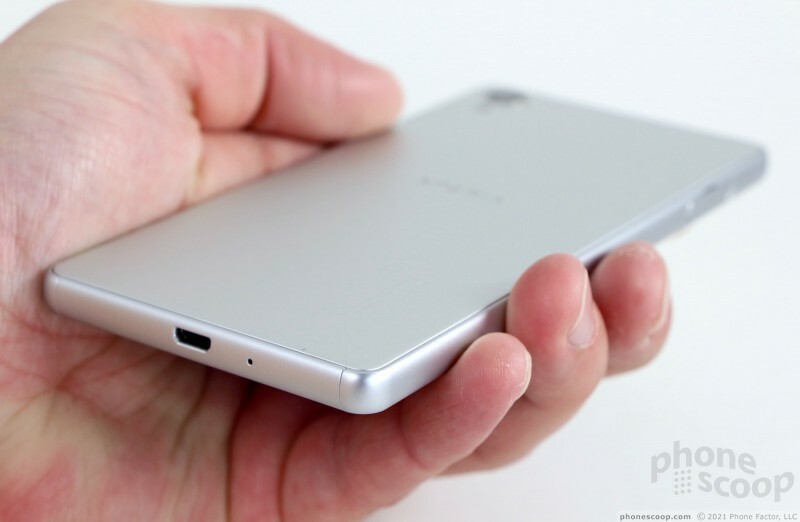 Sony stuck a user-friendly SIM card tray on the left edge. The tray can be removed without a SIM tool or paperclip thanks to a notch that lets you dig it out with your thumbnail. The tray holds both SIM and memory cards. The headphone jack is on top and the micro USB port is on bottom. 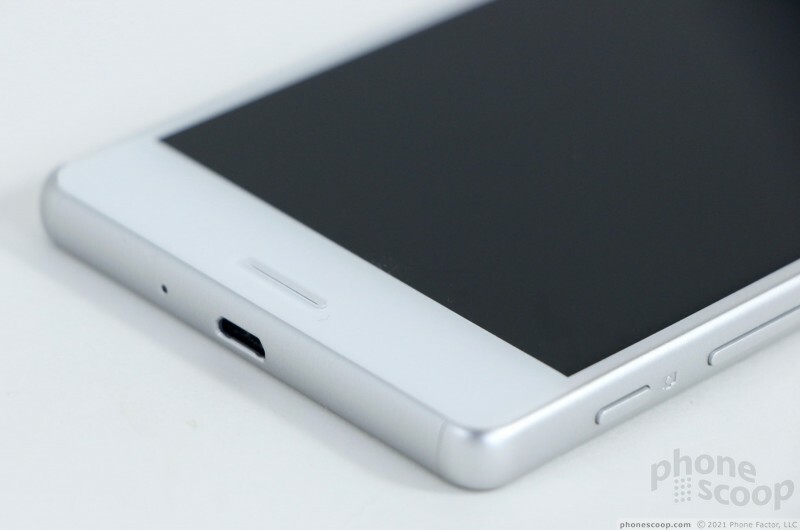 The Xperia X's physical buttons are arranged identically to that of the Xperia Z5 Compact. Trust me when I say this is not a good thing. 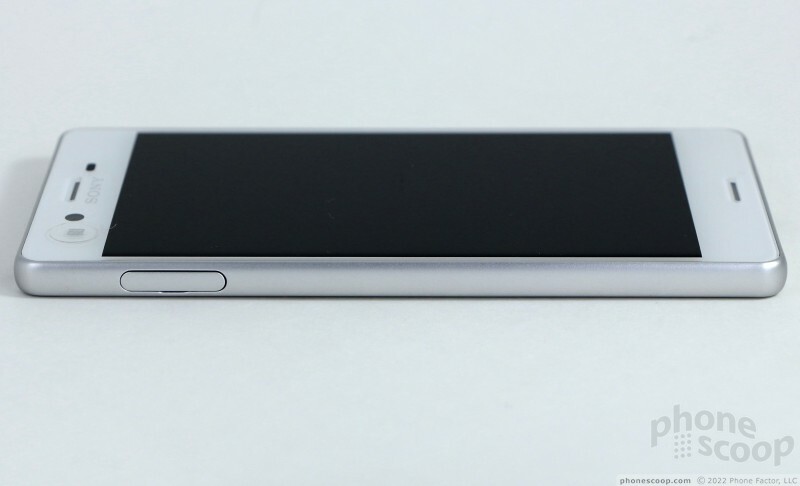 The screen lock / power key is located about in the middle of the right edge and sits lower than the frame. It's easy to find thanks to the huge indentation in the frame, but travel and feedback are absolutely awful. Then there's the volume toggle. The toggle is perched near the bottom right corner of the phone. The camera button is somehow crammed in below it. I can find the buttons easily, and travel and feedback are decent; these aren't the problem. The problem is location location location. I hold my phone in my right hand, and often place my thumb along the bottom right edge of the phone to stabilize it. I found myself adjusting the volume and turning the camera on and off accidentally far, far too frequently. The rear panel may be made of metal, but it's really darned boring. Sure, the matte finish is decent, but the panel is a flat rectangle with no personality whatsoever. 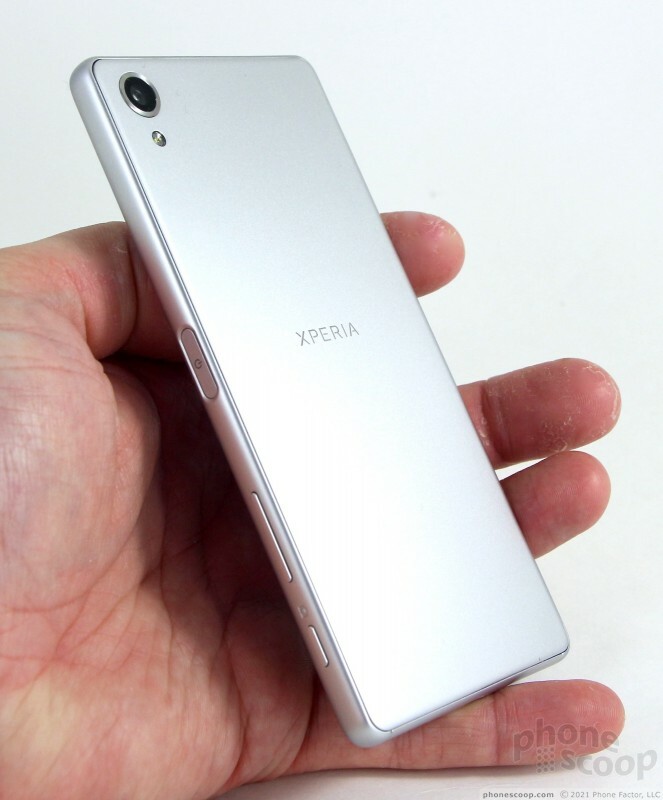 Sony phones haven't had accessible batteries for years and that's no different with the Xperia X. 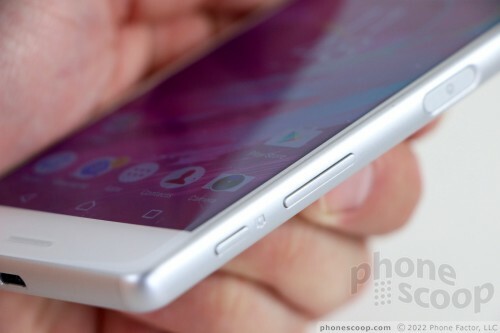 The metal cover is glued to the frame and cannot be removed without damaging the phone. No battery access may be a dealbreaker for some people. 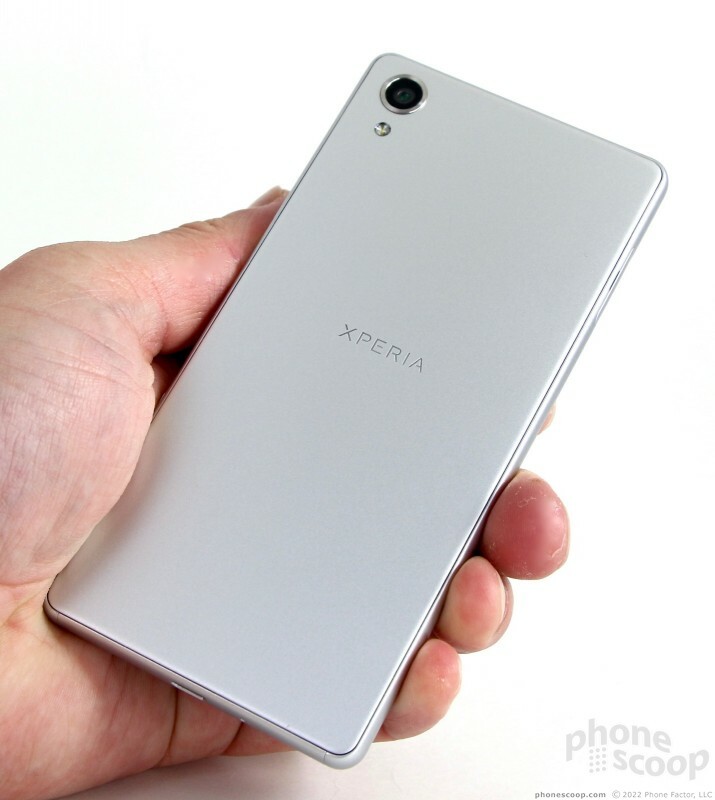 Last, but not least, the Xperia X is not waterproof like the Xperia Z series. You have to upgrade to the significantly more expensive X Performance if you want a waterproof Sony. Further, the X for the U.S. market doesn't have a fingerprint sensor nor any other sort of biometrics for securing the phone. Boo. 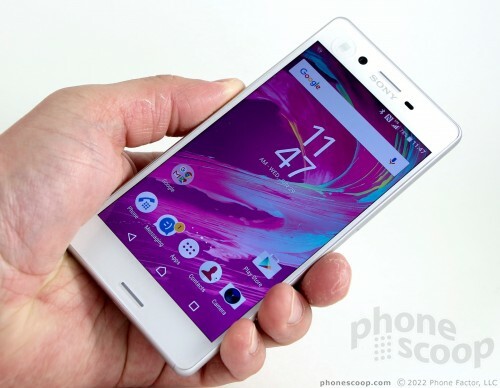 The Xperia X is sold unlocked with support for AT&T and T-Mobile's LTE networks. I tested it on both AT&T and T-Mobile's 4G networks around New York City and was mostly pleased with the Xperia X's cellular performance. The phone was able to make calls in strong and weak coverage environments alike and didn't drop calls on either network, even at highway speeds. Call setup times were quick, and the phone didn't miss any calls on either network. The Xperia X was somewhat faster on T-Mobile's LTE 4G network than AT&T's LTE 4G network, but not by much. This could be because the phone doesn't support AT&T's LTE Bands 29 and 30. The phone had no trouble finding LTE, but it did dip down to HSPA 3G more often than some phones. Either way, the phone was fast enough on both AT&T and T-Mobile to interact with Facebook, Twitter, Instagram, and the Play Store with no trouble. The speakerphone is close to useless. The quality drops noticeably, as most calls are riddled with distortion. Setting the volume up all the way won't help you hear calls in your car, or other noisy spaces. It's simply not loud enough. Ringers and alerts are plenty loud (somehow) and always got my attention. The vibrate mechanism provides enough of a jolt. 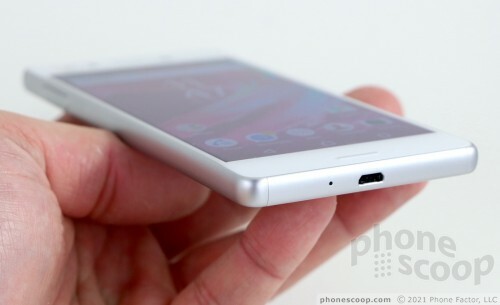 I'll take a moment here to point out that the Xperia X has stereo speakers with Dolby sound. The phone rocks as a mini boombox. I was easily able to fill my office with music thanks to the serious sound pumped out by the twin amplifiers. It also filled my garage while I was doing some yard work, but it doesn't quite push enough air for real outdoor use. Watching video, whether movies from Google Play or the latest silliness on YouTube, was always enjoyable thanks to the great sound quality. All of the secondary radios do the jobs they were designed to do. I was particularly pleased with the Bluetooth radio, which connected to a range of speakers, headsets, and so on. Call quality was definitely below average via headsets and my car's hands-free system, but music sounded excellent via several different speakers. Sony's codec really helped improve music playback. Let's talk about the NFC radio for a second. There's an incredibly unsightly sticker on the front of the phone next to the selfie camera. This sticker signifies the location of the NFC radio. Yep, the NFC radio is on the FRONT of the phone. It's much easier to use the NFC radio when you can actually seen the screen to know that it's been read by a nearby device. Seriously, this is the dumbest location I've seen for an NFC radio. Worse, the sticker itself is almost impossible to remove. Let's just say that, yes, the NFC radio does work, but not in a user-friendly way. The X's GPS radio functioned just fine. It partnered up with Google Maps to locate me quickly and accurately. It placed me on the map with accuracy as good as 30 to 40 feet. The X worked well as a navigation device.